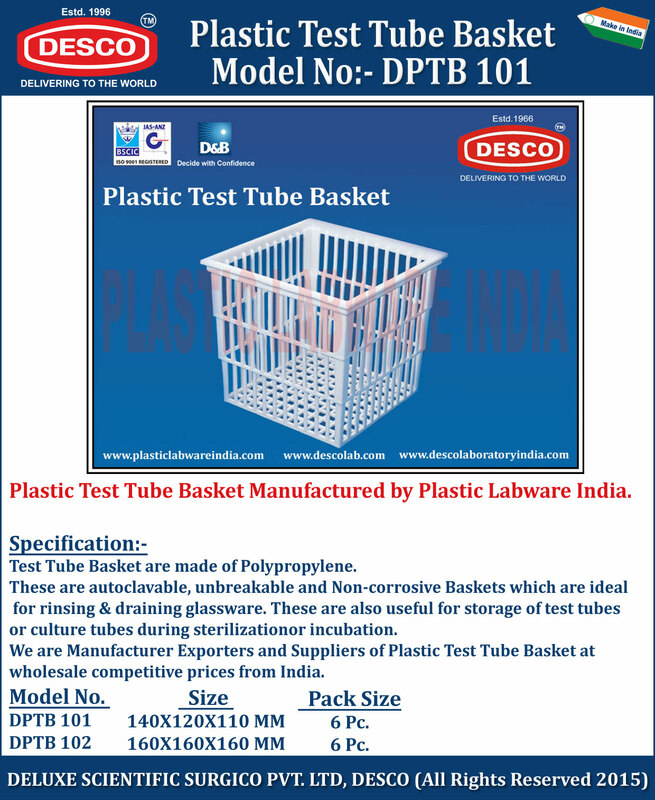 Test Tube Basket are made of Polypropylene. These are autoclavable, unbreakable and Non-corrosive Baskets which are ideal for rinsing & draining glassware. These are also useful for storage of test tubes or culture tubes during sterilization or incubation. We are Manufacturer Exporters and Suppliers of Plastic Test Tube Basket at wholesale competitive prices from India. DPTB 101 140X120X110 MM 6 Pc. DPTB 102 160X160X160 MM 6 Pc.